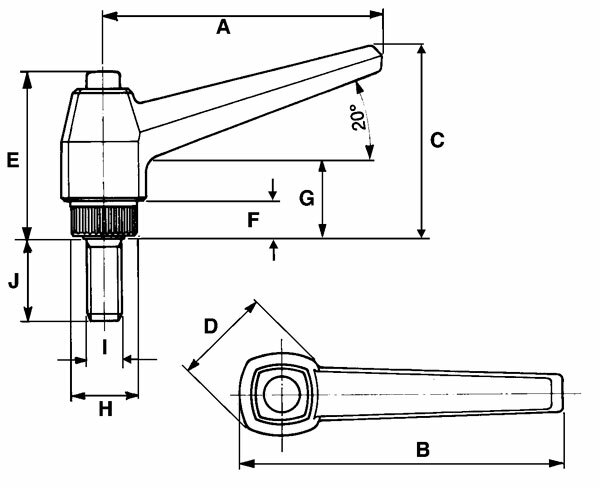 For adjustable clamping or tightening controls when the operating angle is limited. To adjust during the locking operation, lift the lever in order to disengage the teeth from the locking element and change lever position. The return spring automatically engages the teeth again.